The United Arab Emirates (UAE) and Turkey have strived to coexist in the Middle East since the 2013 military coup in Egypt that removed the legitimately elected Muslim Brotherhood-led government, which resulted in the two sides backing opposing groups. Somehow, Turkey and Saudi Arabia, which was a key ally for the UAE in the coup, repaired ties with Saudi King Salman bin Abdulaziz al-Saud last year and have maintained relations so far. However, despite increasing bilateral trade and optimistic political statements, Turkey and the UAE continue to be in each other's crosshairs. Recently leaked emails that appear to belong to Emirati ambassador to Washington Yousef al-Otaiba clearly illuminate the extent of the animosity between the two countries. "We don't want Turkey or Qatar to be able to shape a dinner menu much less a country," Otaiba wrote in an email to a prominent New York Times columnist in April. The emails confirm the perception that the UAE treats Turkey, along with Qatar, as one of the main antagonists with competing regional visions. 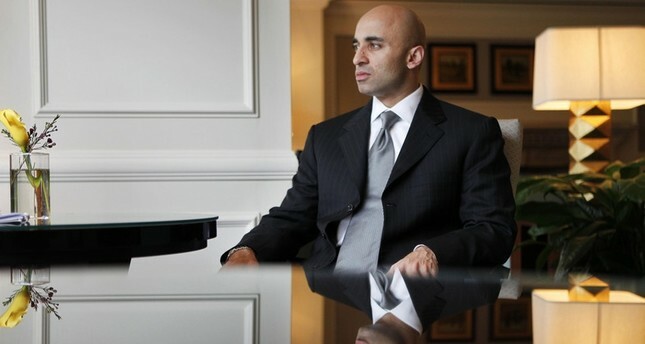 Various reports detail Otaiba's excellent network in Washington, achieved through his shrewd understanding of American political culture and power centers in the city. Moreover, the UAE is also ready to pour millions of dollars into influential American think tanks to campaign for its priorities. However, Otaiba himself is the most important asset with his clear vision for the region. On a TV program last week, Otaiba said that the UAE, Saudi Arabia, Jordan, Egypt and Bahrain expect more secular governments in the region within the next 10 years. Forgetting that these countries have regulations based on Islamic sharia law, there are many people in the U.S. ready to buy this. As one Washington expert said, those in Washington would have no quarrels with an autocrat if that person is pro-West. Otaiba believes Turkey, a constitutionally secular country, is a part of the Islamist axis that can undermine the UAE's rule in the region. The UAE's man in Washington, as expected, has lobbied against the Turkish government on several occasions. Otaiba, in response to a Turkish expert at the Council on Foreign Relations, said in May that President Recep Tayyip Erdoğan only understands the language of power. He also encouraged the individual to write more about Turkey, saying that most Americans have no idea what is fundamentally happening to Turkey and "the long-term threat it poses to most of us." Otaiba also sent various emails to American officials, including those working on former Secretary of State Hillary Clinton's presidential campaign and the White House, stressing his claim that Erdoğan (democratically elected) has become more autocratic than Egyptian President Abdel-Fattah el-Sissi, a military general who took over the government through a bloody coup. The UAE ambassador also seems to be very concerned about the possible Turkish and Qatari responses to Abu Dhabi and its allies' future policies. In several emails in May, he alleges that Gulf countries cannot bring their relations with Israel out from under the table because "the Muslim Brotherhood, Qatari and Turkish triangle" would paint the Gulf as infidels who work with the Zionists against the poor, oppressed Palestinians. This is a strange argument since Turkey has fully established diplomatic relations with Israel, and even after the Gaza flotilla raid, has never cut the ties completely, with ongoing bilateral trade continuing to flourish. Last year, after the coup attempt in Turkey, the UAE quickly returned two important suspected coup-related military officers who had fled their posts in Afghanistan. Foreign Minister Mevlut Çavuşoğlu thanked Abu Dhabi for its cooperation. Yet one year on, a Turkish journalist alleges that Çavuşoğlu now somehow believes the UAE was complicit in financing the military takeover in Turkey. The latest rift in the Gulf has pushed Turkey to flex its muscles in the region to protect Qatar from a possible palace coup while further antagonizing the UAE. Experts do not expect imminent reconciliation between the two countries.